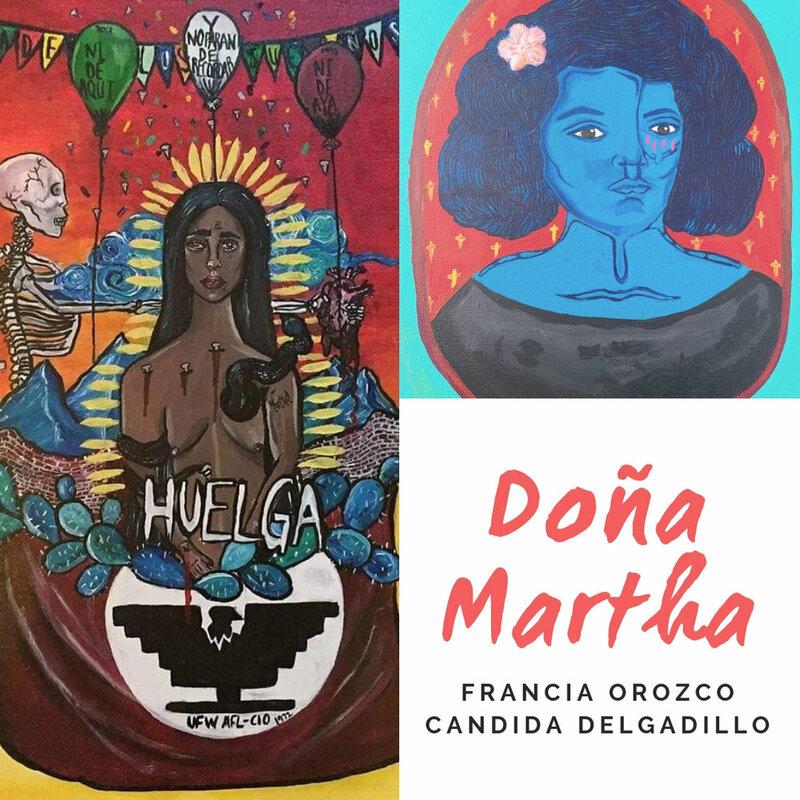 For the month of February Make.Shift Gallery invites you to enjoy our newest exhibit, Doña Martha, featuring paintings from local artists Francia Orozco and Candida Delgadillo. Francia and Candida create stunning and colorful portraits. Francia’s work often depicts images of women surrounded by animals and symbols of “la muerte” (or death), and positioned against a surrealist background. Candida illustrates emotive faces framed by bright splashes of color and repeating patterns. Both artists capture the vulnerability, strength, and grace inherent to the struggles of marginalization. “My work is always heavily influenced by my Mexican culture,” Francia states, “I am trying to capture the people who have never been represented in art.” Please join us for the opening of the exhibit on First Friday Art Walk, February 1st, from 6-10pm. Also on First Friday in February, Make.Shift Gallery will also be debuting our call for this year’s Kid’s Art Walk, where we invite local artists young and old to use children’s art as inspiration for their own original works. This year’s theme is “Life on Mars” — young students from Cedar Tree and Sammish Woods Montessories have created creatures from outer space! Artists who are interested in participating can sign up in-person or send us an email. For more information about Art Walk or Make.Shift please visit our website at makeshiftproject.com/gallery or contact the gallery director, Jessyca Murphy at gallery@makeshiftproject.com.